To start with I had no concept of what this series would be like when I took a look at it as I really hadn't taken a look at any of Tezuka's manga other than maybe Astro Boy. In saying this the 1st episode of this series was pretty interesting. The animation is great and while colorful on the serious scenes leaves the colors very mild to stay with the mood so the viewer isn't put off which i liked. However, the hand swishing scenes i felt were kind of overdone. I get that they were using that as a unique way to censor the more grotesque parts of the surgery, but it felt odd to me I suppose and kind of reminded me of the death note scenes with Light writing in the note book with extreme vigor. Just my opinion but if its lifesaving/altering surgery you don't have to doll it up to make it "cool" just because its something medical. Great Introduction to Black Jack! This is my reaction on the first episode only. This is my first time to watch a "Black Jack" episode. I didn't watch the old series. But I was really thrilled! What an amazing character! He is so unique and impressive! His uniqueness sure had an impact on the plot itself to be taking a narrative that is different than the normal shonen animes. The following section might container some SPOILERS! 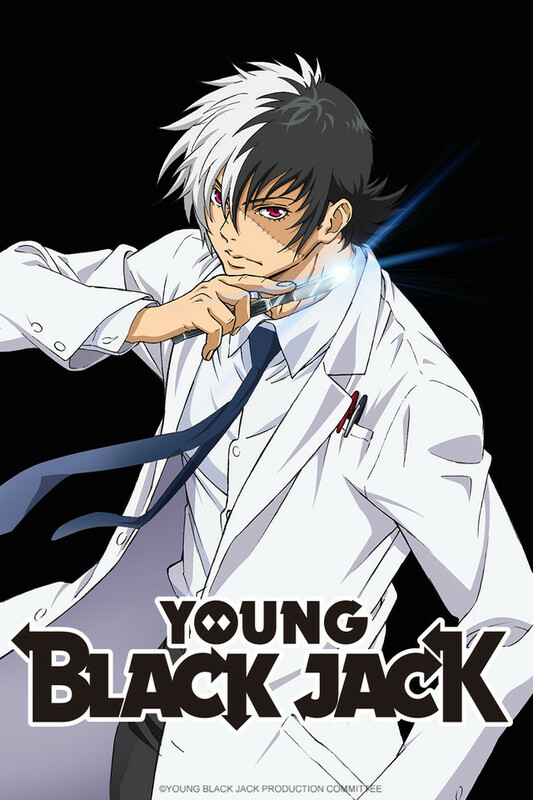 With minimal spoilers, we could say that Black Jack is a doctor. a brilliant doctor! But for some reason he would be dragged to work on his career without license! The first episode tried to explain why he took this path, but I can imagine what kind of clients he would be treating in the future! Very interesting! Common Sense? Nope, not here! I will still say the first few minutes were very intriguing and had me. And then the little kid and several civilians are injured because they don't know how to get off a bike/get out of a car/bus/help THE KID THAT IS JUST STANDING IN THE MIDDLE OF THE TRAIN TRACKS. And the doctor goes back on the Hippocratic oath and the parents argue for the kid to get his limbs reattached rather than SAVE HIS LIFE. And then you're telling me none of the protestors have morals to help in a major accident? Um, is greed that important? I didn't get past 9 minutes, and I'm sure someone is going to say that I should keep watching. But all of that ^ is keeping me away. what it you babies its the best thing in the world i'm so hyped to watched this so get ur seatbelt on cause we going on a trip!